Under a new three year agreement signed between Gazpromneft-Aero and Hindustan Petroleum, the latter will refuel the former’s partner airlines at airports at which HP is present in India. Gazpromneft-Aero and Hindustan Petroleum (HP) have signed a new three-year agreement, to refuel Gazpromneft-Aero’s partner airlines at Indian airports where Hindustan Petroleum is present. Under the contract, HP will service and refuel Gazpromneft-Aero, operator of the business jet fuel company Gazpromneft. HP has access to a network of 35 airports in major Indian cities, according to a Gazpromneft press release. The first cooperation agreement between the two companies was signed in 2010. To date, Gazpromneft-Aero, in partnership with the Indian national supplier of jet fuel, provides refuelling facilities to “Aeroflot” airlines and “Volga-Dnepr” at some of India’s important tourist and business centres, including New Delhi, Hyderabad, Goa, Mumbai, Kolkata, Chennai, Trivandrum and Varanasi. Hindustan Petroleum has provided 74,000 tons of jet fuel in six years to “Gazpromneft-Aero” customers. “Partnering with the leader in the supply of aviation fuel in India - Hindustan Petroleum - is an important step in the development of international business for Gazpromneft-Aero,” said Vladimir Yegorov, CEO of the company. “We see a rapid development of the Indian air transport market and the Russian airlines’ growing interest in it. Gazpromneft-Aero has confirmed its readiness to provide its network of refuelling bases in Russia, to fuel Hindustan Petroleum’s customers,” he said. Yogesh Gawali, board member and director of marketing for Hindustan Petroleum, said: “We welcome the conclusion of a new long-term agreement with Gazpromneft-Aero, which will allow the Russian company to expand its activities in our country. Within the framework of the talks in St. Petersburg, we also agreed to exchange experiences in implementing projects in the field of HR, IT and the development of innovations in the jet fuel industry,” he said. 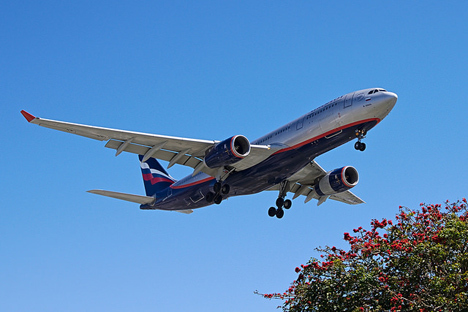 Gazpromneft-Aero has been a leader in the Russian aviation fuel market. The spread of the company's presence abroad counts 172 airports in more than 60 countries.